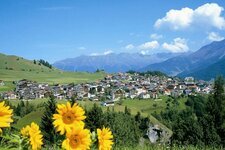 The three villages Serfaus, Fiss and Ladis in the western part of North Tyrol are located on the sunny plateau. The holiday area Serfaus - Fiss - Ladis and its three eponymous villages are located above the upper Oberinntal valley at the foot of the Samnaun Alps. 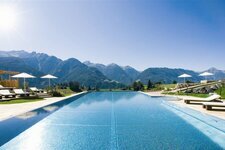 Serfaus and Fiss have been distinguished as “Family Tirol Dorf”, a title to which the villages completely live up to. 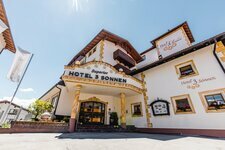 The Summer Fun Park Fiss, children’s clubs and the Adventure World Serfaus with its water park “Murmliwasser” are only some of the facilities providing adventurous experiences for young and old. Summer in this holiday area stands for summer in the mountains, many trails lead hikers up to 3,000 m asl. However, if you prefer more comfortable walks, there are also several panoramic trails in the environs. Those who are adventure-seeking absolutely have to try rafting in the Tösner and Imst gorges or an unusual leisure time activity, which is segway trekking. In winter the Serfaus-Fiss-Ladis skiing area with 214 km of ski slopes attracts skiers not only thanks to its carving and speed slope. The village of Serfaus is located on the sunny plateau Serfaus - Fiss - Ladis.